The People's Democratic party has asked the Independent National Electoral Commission to order it's branch in Osun state to put the collation of results of the Supplementary election held in the State on hold. The party described the rerun exercise as a sham and the most brazen assault on democracy and biggest robbery ever witnessed in the history of the State. The State Chairman, Hon Soji Adagunodo stated this in a statement issued to journalists in Osogbo. He described the supplementary election as "open robbery perpetrated by the All Progressive Congress aided by security personnel will be resisted by the party." 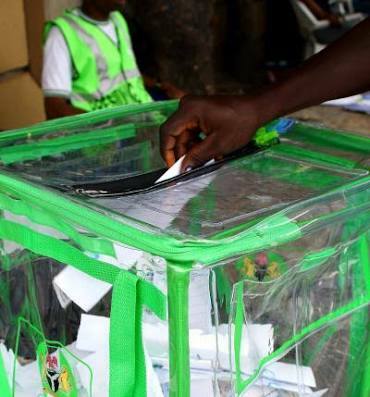 The PDP chairman claimed that thousands of eligible voters were chased away from their homes in Orolu, Ife North and Ife South Local Governments in the early hours of Thursday. "Scores of our supporters in those local governments were shot and matchetted on their way to polling centres and in the full glare of security men. Hundreds of people holding PVCs from other polling units were accredited and allowed to vote in Osogbo and Ife South Local Governments. "PDP agent in Olode was axed and abducted at about 7am today. Media men and election observers were denied access in several polling units. By the time access was granted to journalists at about 11am, ballot boxes had been stuffed by APC agents acting in connivance with INEC officials"
"It is regrettable that election in 7 polling units could not be freely and fairly concluded by the Independent National Electoral commission. "We reject any returns of results from this sham and call on the INEC authorities in Abuja to direct that the so called supplementary election result collation be put on hold now. "We equally invite leaders of thought in Nigeria and the International community to rise up now to rescue Nigeria's democracy from being ruined. "We equally call on all members and supporters of our party to resist any attempt to foist a concocted election results on the people of Osun using all legal means at their disposal," Adagunodo said.